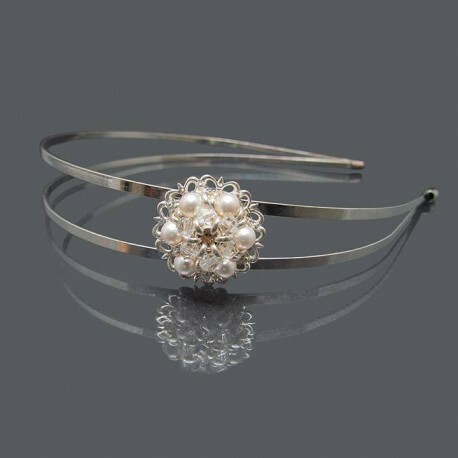 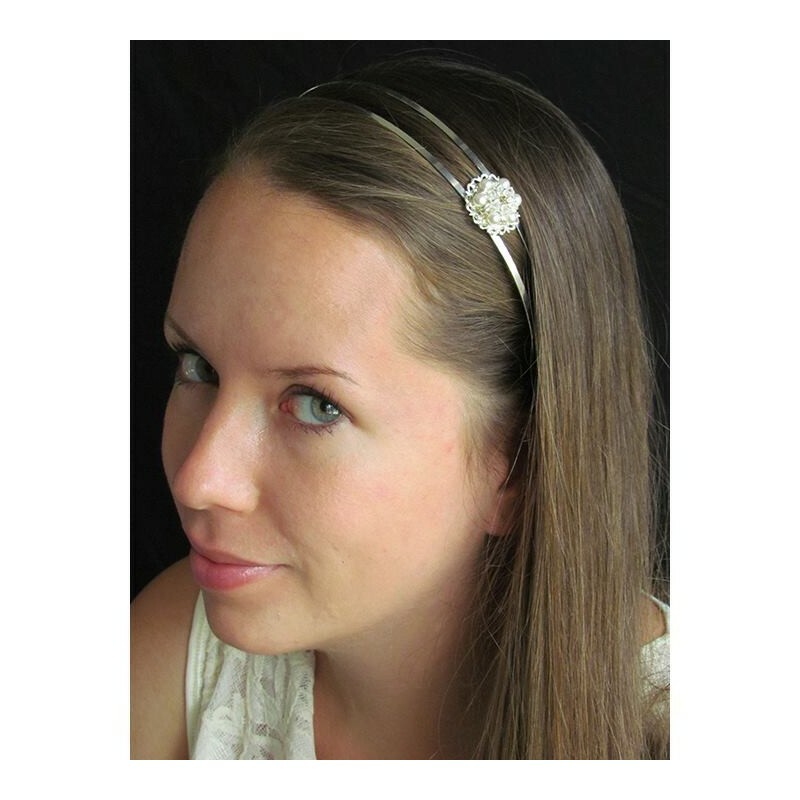 This gorgeous crystal and pearl tiara is perfect for the simplistic bride! 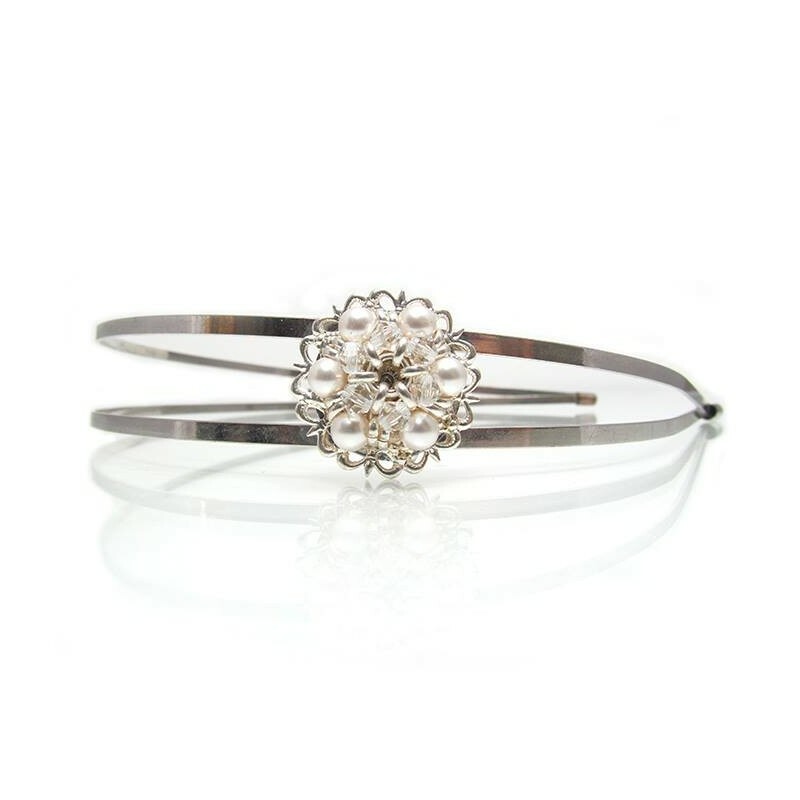 It adds that special something without taking away from any dress! Delicate silver headpiece embellished with Swarovski Pearls pearls and crystals. 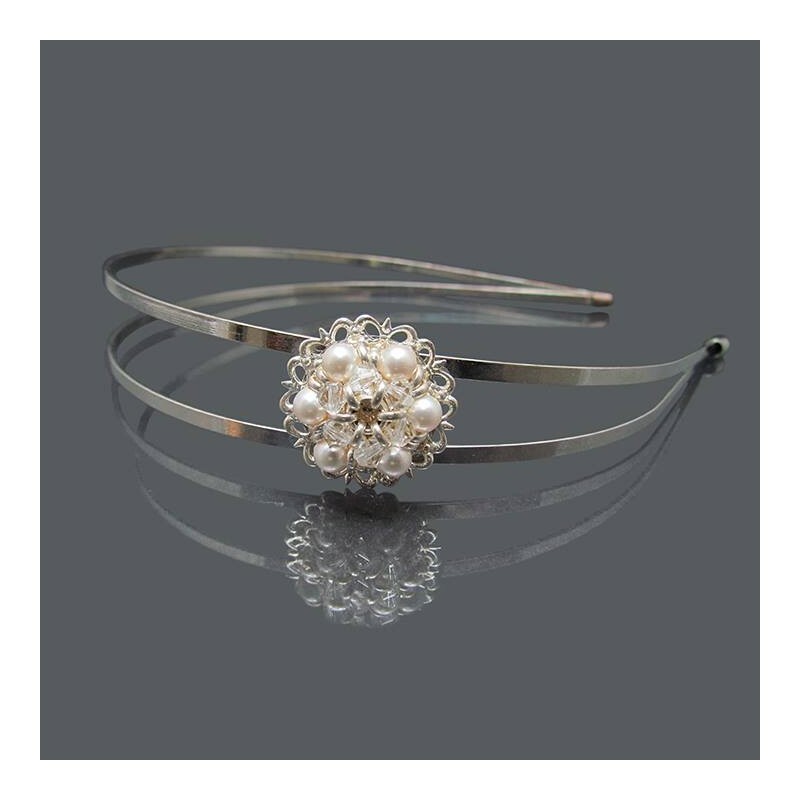 Art Deco mid height bridal tiara.